The Yukon Government has officially adopted a strategy to get Yukoners to burn more wood in a way that it says is cost-effective and environmentally sustainable. Shane Andre with the Yukon Government's Energy Solutions says creating and supporting a biomass industry in the Yukon makes more sense than trucking in fossil fuels. 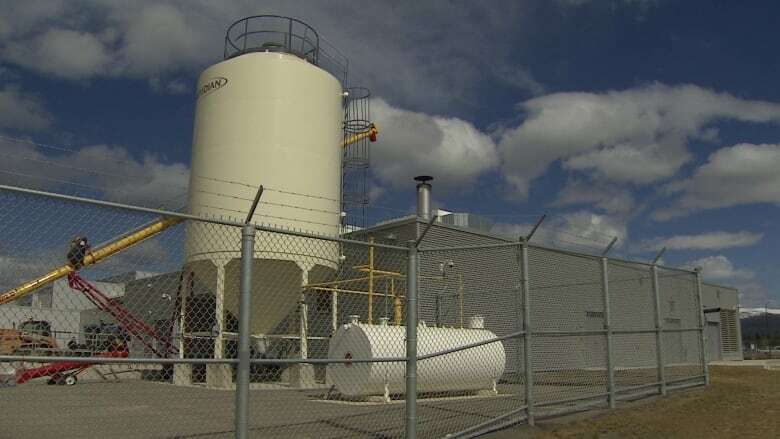 "[With] just five per cent of what burns naturally in the territory, we could heat every building in the territory," said Shane Andre with Energy Solutions. "As long as we are allowing the forest to regrow, the carbon dioxide emissions we release when we burn it will be returned to the tree and therefore is a neutral cycle." Andre says it's important Yukoners make sure they're using a woodstove, that's approved by the Environmental Protection Agency and one that's installed properly. "Make sure you're burning dry wood and make sure you're keeping a hot fire box," he says "if you do those key things you'll find that emissions from that fire are very low." Andre says there's no reason the main government building couldn't be heated with wood in the future. A previous version of this story incorrectly quoted Shane Andre as saying carbon "monoxide."